having seen the big sights. What makes Hong Kong so fascinating? First of all, Hong Kong is a city where two contrary worlds – the modern and the traditional – collide into each other. In Central District, the new Hong Kong gets the upper hand more and more, but even amidst the bustle of the urban city, you will still find touches of the old Hong Kong. 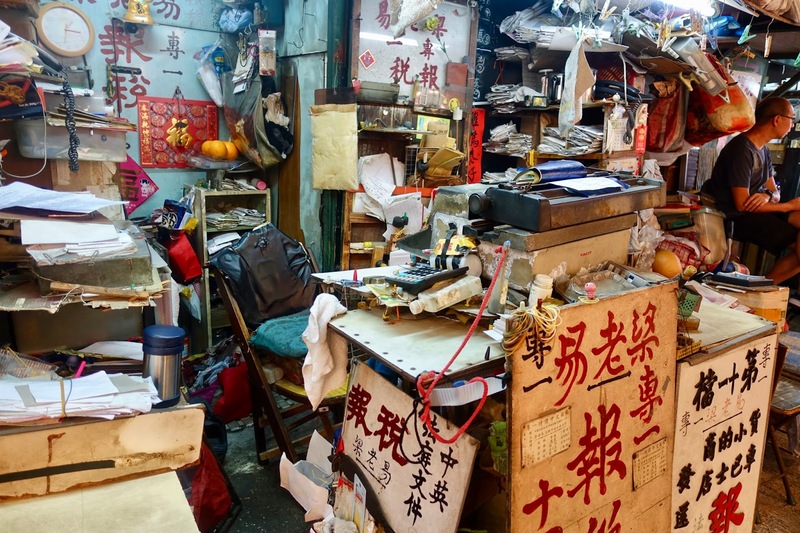 However, in large parts of Kowloon, traditional Chinese daily goes on as ever. A second interesting detail about Hong Kong is that this metropolis is more of a Chinese city than its counterparts on the Chinese mainland and this as a former British Crown Colony! This is due to the fact that Mao’s cultural revolution brought massive changes to mainland China. Century-old traditions, festivities, customs and religious beliefs were banned there in the 1960s and 1970s. 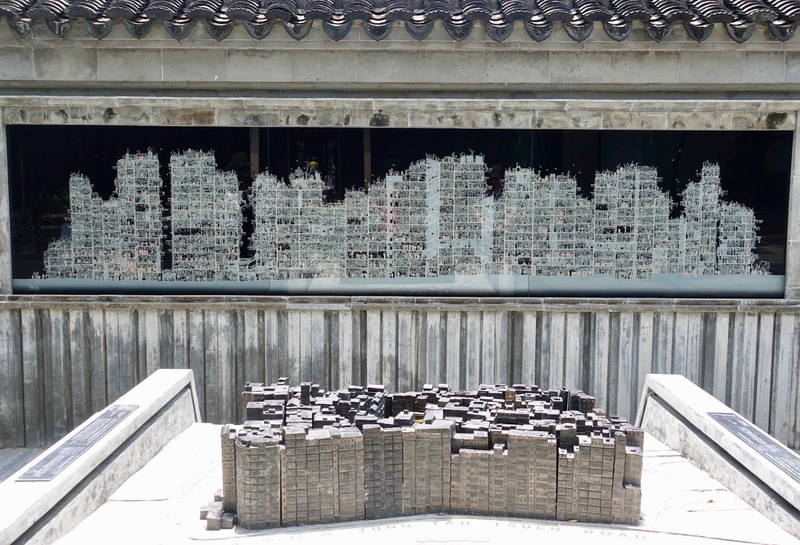 In contrast to this, Hong Kong was more or less spared by this and the cultural heritage could be widely preserved. And this shows to the present day. Most certainly you already have set foot on different parts of Central District. If this is the case, it may be time to go off Central and to venture a bit further by heading west in the area of Sai Ying Pun and east in the one of Wan Chai. Both are off-the-beaten path neighborhoods with their own local color. I am sure that sometimes you seek nature when being in Hong Kong’s hustle and bustle. To remedy this, pay a visit to one of the metropolis’ parks. There are quite a number of them from more known larger ones to smaller unknown to visitors. Another possibility to escape from the buzz of the city is to tour the outlying islands. Hong Kong is blessed with an amazing island life, there are hundreds of them! But most of them will stay secret islands to tourists as those normally only go to a handful of nearby places. 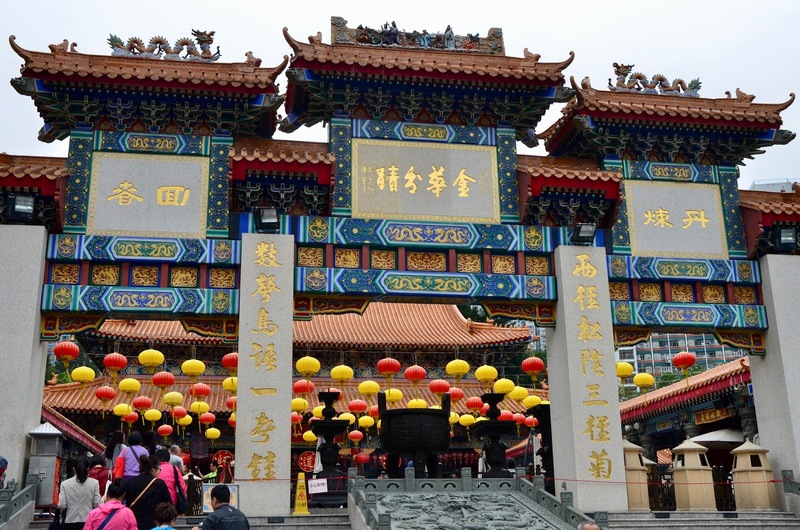 As most Hong Kong Chinese still practice traditional Chinese religion – a mixture of Buddhism, Taoism and Confucianism – it is strongly recommended to visit at least one temple. What Hong Kong makes so appealing is the tension between modern and traditional life. 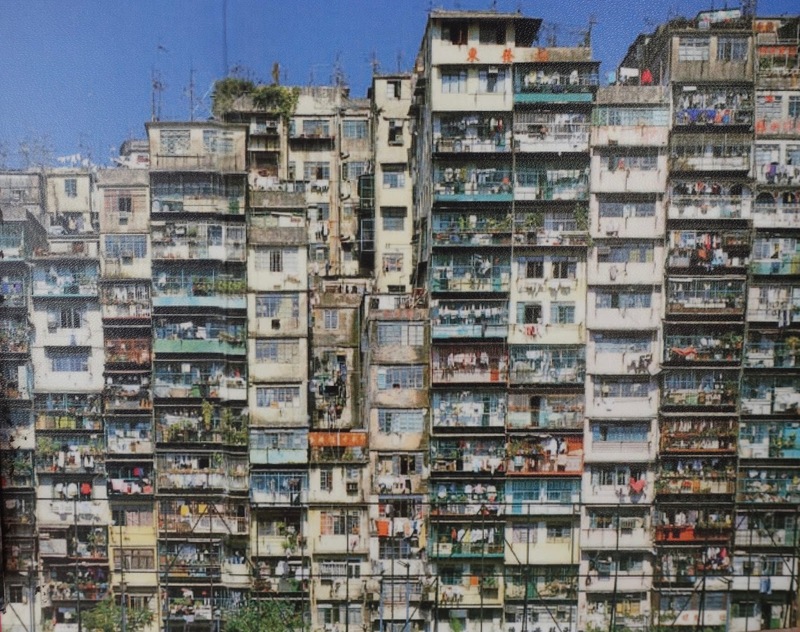 To gain more insight in the latter, it is essential to further immerse in the traditional Kowloon neighborhoods. 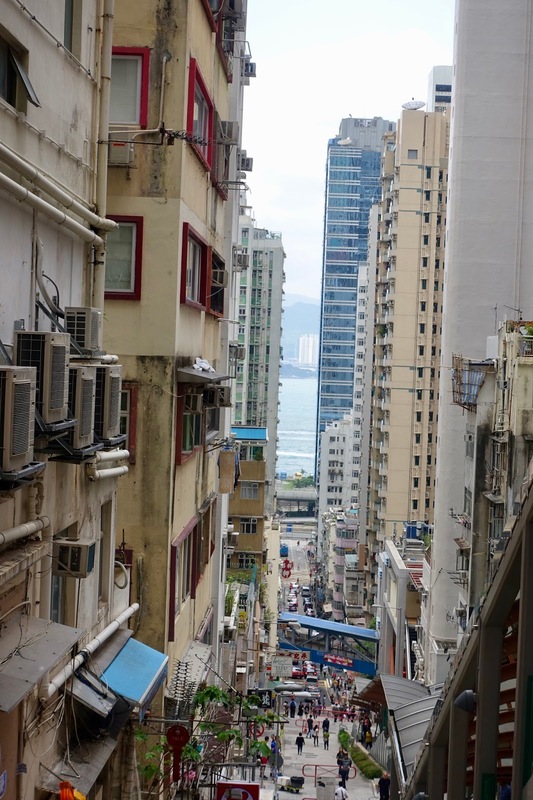 Another contrast can be found between Hong Kong Island’s “loud” side in the north and its quiet south side in Aberdeen or Stanley that is worth exploring to get the full picture. 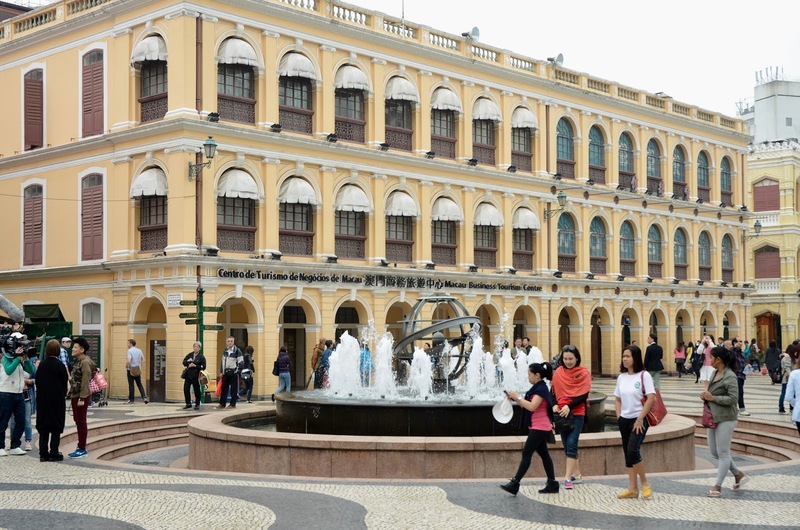 Being in Hong Kong and having some time to spend you are well advised to make a side trip to Macau, this former Portuguese territory that is now a Special Administrative Region of China. Central is the place where Hong Kong’s story started and certainly the city’s hub of activity. But there is no reason to spend all your time here. Push Central’s boundaries toward the west side by taking the Hollywood Road and the Queen’s Road West to the neighborhood of Sai Ying Pun. At Centre Street there is another escalator system that helps you explore the area without climbing the hills. Although a construction boom is in progress, this locality still retains the feel of a traditional residential area with a vivid market life. To the east of Central there is the Wan Chai quarter that experienced the city’s most drastic changes in the train of urban renewal. But there are still some spots resisting modernity around Wan Chai Market such as Blue House, Old Wan Chai Post Office or Pak Tai Temple. 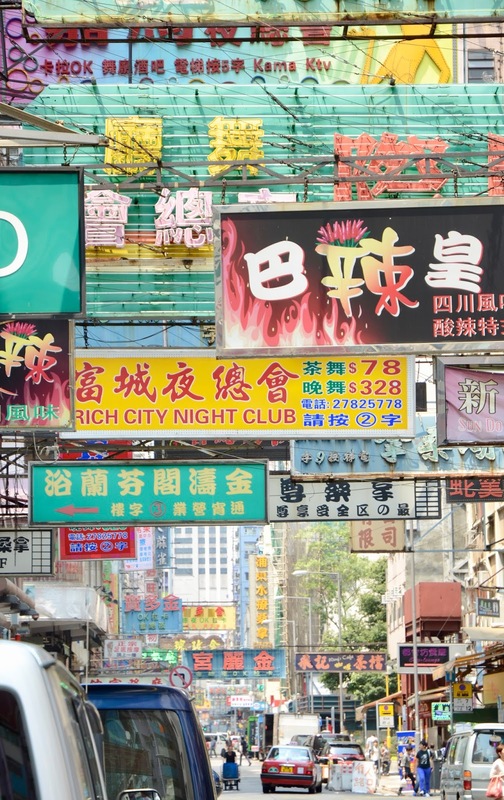 Take a stroll down Wan Chai Heritage Trail to experience some of Hong Kong’s culture. The variety of parks giving you the chance to escape the buzz of the city is quite large. The most popular ones are certainly Hong Kong Park and Kowloon Park. Hong Kong Park in the heart of the central business district is a much-needed tranquil enclave featuring beautiful gardens surrounded by looming skyscrapers. 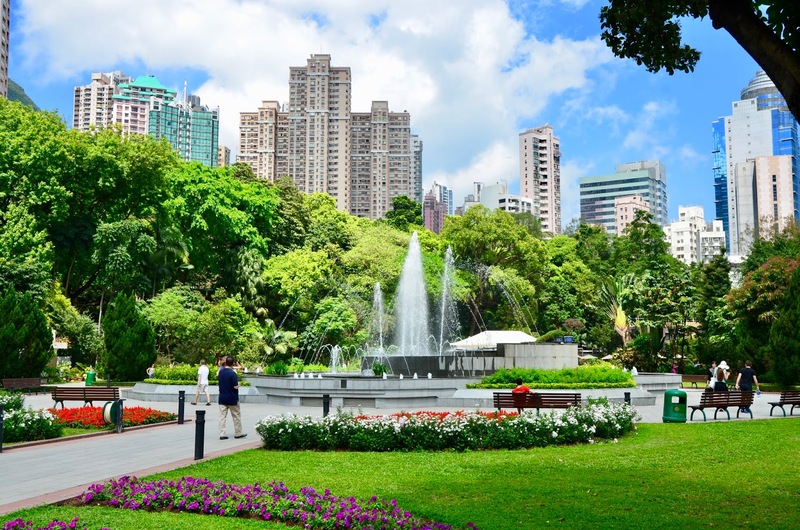 Kowloon Park is located in the Tsim Sha Tsui neighborhood catering to various interest groups as it features a swimming pool, a fitness trail, a maze and other things. If you look for some relaxation, go to the idyllic Chinese Garden. 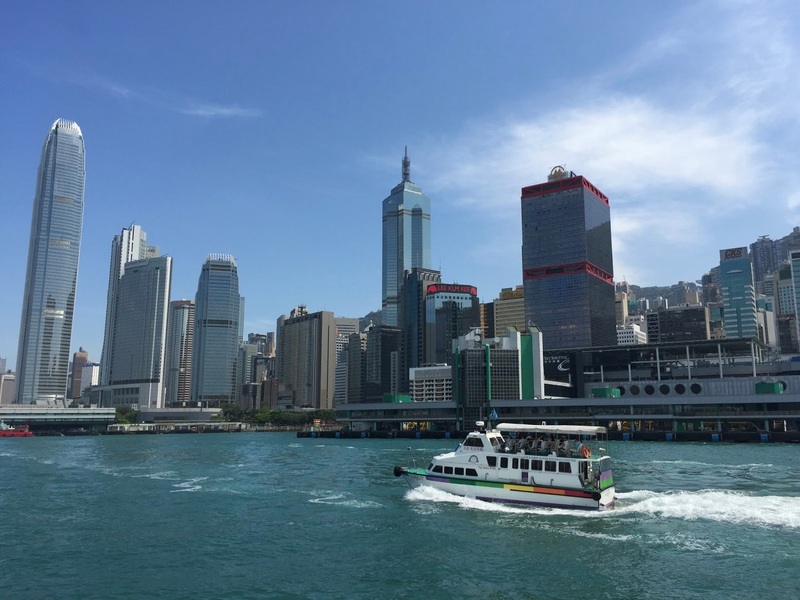 Other green spots on Hong Kong Island around the financial district are Hong Kong Zoological and Botanical Gardens as well as Hollywood Road Park. Whereas the latter is a small oasis of tranquility built in traditional Chinese architecture, the former is one of the oldest zoological and botanical parks worldwide and the perfect place for lovers of flora and fauna. The parks to follow are a bit further away from the Central District and the Kowloon coastal area but still within easy reach. 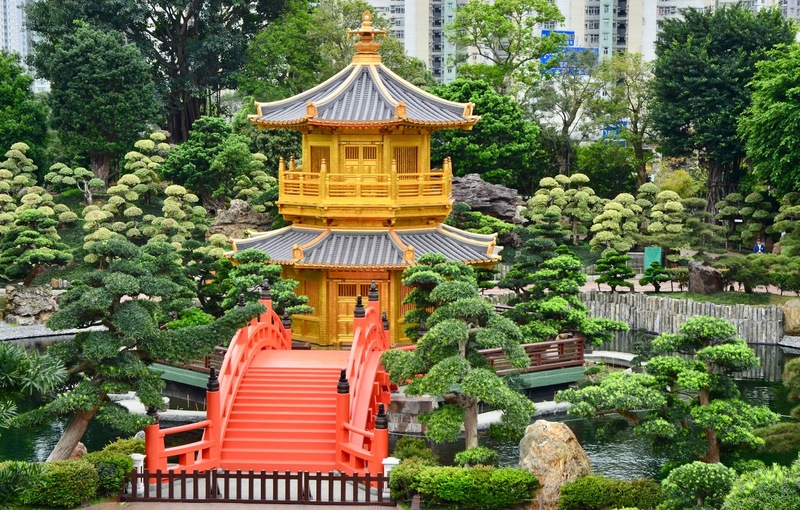 The first of those, Nan Lian Garden, can be found in New Kowloon. 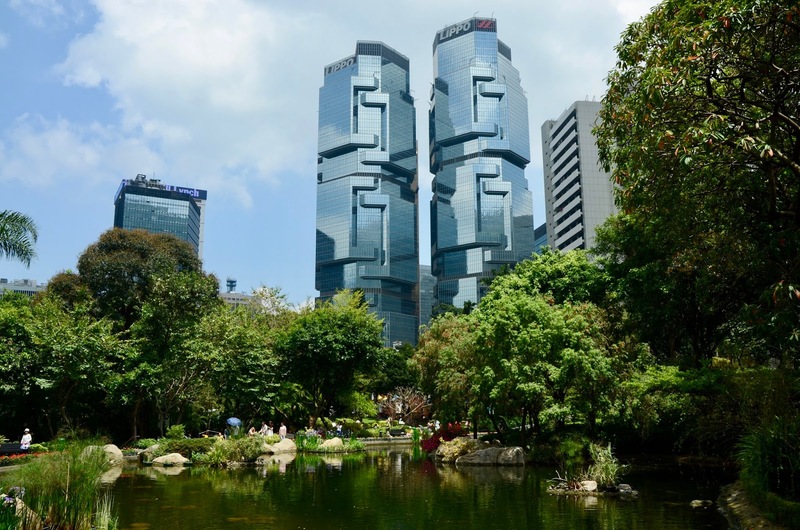 This jewel of a park is a rather new one and built in a typical traditional Chinese garden style featuring the elements of rocks, water, plants and architecture to create a perfect balance of nature and surroundings. There is another park, however quite a different one, nearby, Kowloon Walled City Park. This attractive park is the site of a lawless enclave in the 20th century, abandoned by the British and Chinese government, where 40,000 people lived crammed into only a few blocks until it was demolished in the 1990s. Visitors to this park may enjoy its tranquility but can also learn about its infamous yet fascinating past. Last but not least of this list of recommended parks in Hong Kong is Victoria Peak Garden, most certainly the less known of all the places mentioned. Just a 15-minutes walk from the Peak Lookout you will transition into a world completely different from the hustle and bustle of Hong Kong’s concrete jungle. Its grounds are well manicured and stunning views over the city are offered here. Another possibility to find refuge from the city’s buzz of activity that can be a bit overwhelming sometimes is to go to one of Hong Kong’s several hundreds islands. The most popular ones are Lantau Island, Lamma Island and Cheung Chau Island. 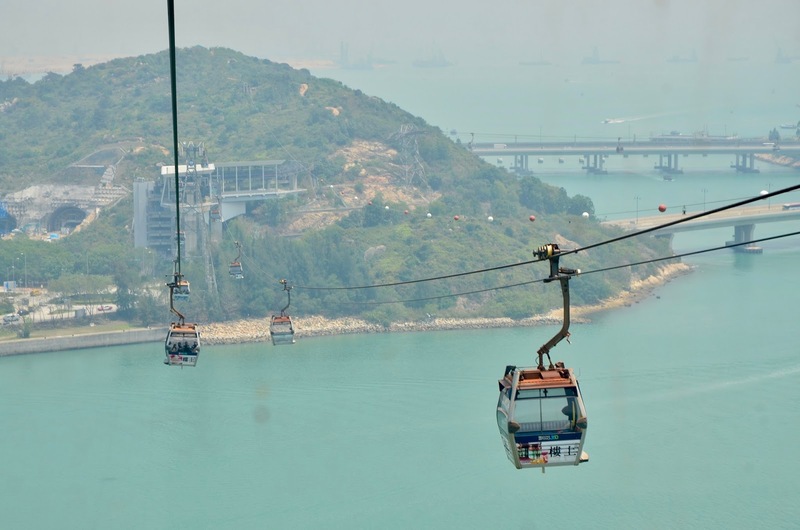 Lantau Island is the largest one in Hong Kong and – formerly being the site of fishing villages – has been heavily developed in recent years with constructions such as the International Airport and Hong Kong Disneyland. 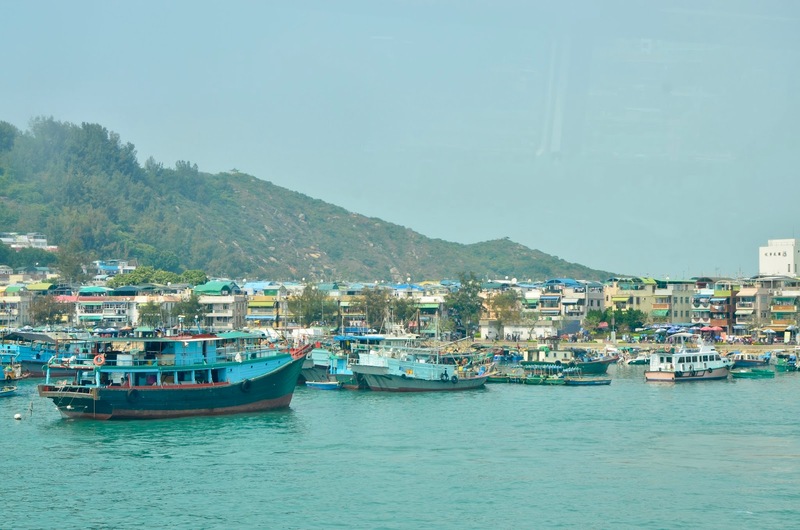 It is connected to the rest of Hong Kong via the MTR’s Airport Express and often visited due to its before mentioned theme park, the Po Lin Monastery with its Tian Tan Buddha Statue and the fishing town of Tai O with its stilt houses. 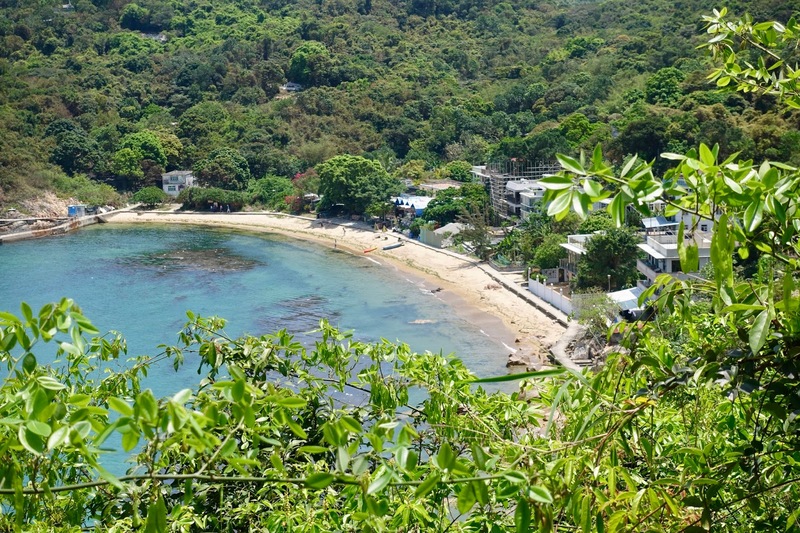 Lamma Island, the third largest island in Hong Kong, is an oasis of calm with an abundance of natural scenery and can be reached by fast boat in about half an a hour. Many people come here to do the Family Trail – takes about an hour – connecting the two villages of Yang Shue Wan and Sok Kwu Wan, from which the latter is the more picturesque place. The small island of Cheung Chau has a quaint harbor, always bustling with activity, is car-free and has some of the best hiking in Hong Kong. There are trails along the coast that allow you to walk around the island more or less (it is dumbbell-shaped), what takes about two and half hours. The most scenic section is the one on the south side with stunning views of the sea and other islands. To get to this island from Hong Kong Island you need to ride the fast ferry for about forty minutes. Apart from these well-known and often visited island there is a hidden side of Hong Kong’s island life with islands such as the rugged Tung Lung Chau or the Grass Island of Tap Mun, yet to be explored, also by me. Chinese temples are a part of the rich cultural and religious heritage of Hong Kong and must-do places to visit when spending some time in this city. Probably the most popular temple in Hong Kong is Wong Tai Sin Temple, located in Kowloon. It is dedicated to all three major religions of China and often very crowded with worshipers bringing incense sticks and offerings to ask for good luck and spiritual advice. 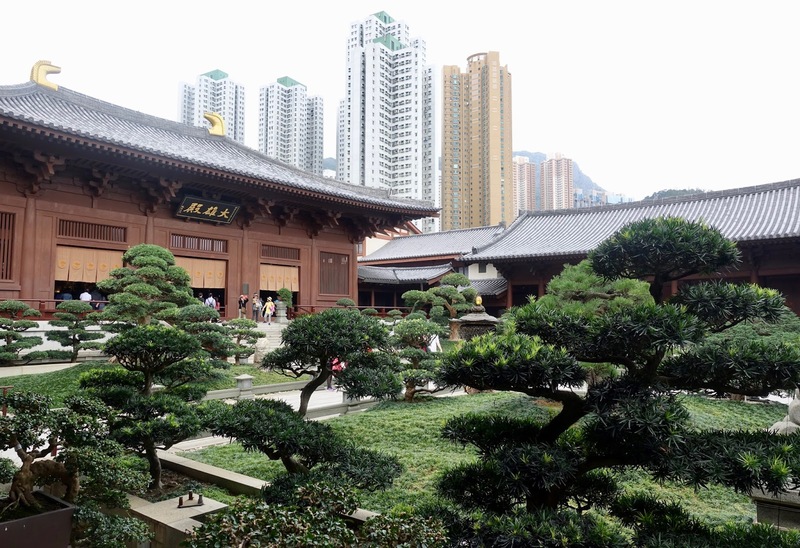 Also in Kowloon you find the Chi Lin Nunnery, a large temple complex of a beautiful architecture with Buddhist relicts and serene lotus ponds. It originally dates from the 1930s and was rebuilt completely of wood in the late 1990s. 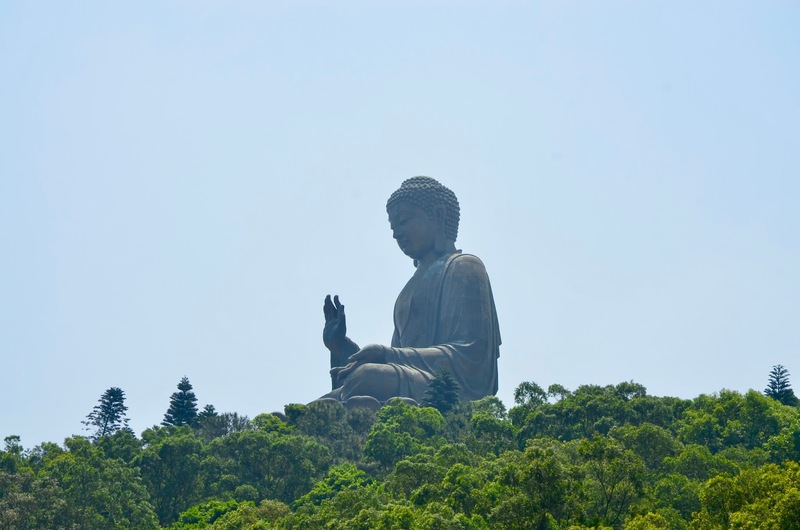 In the New Territories there is a fascinating Buddhist temple named Ten Thousand Buddha’s Monastery, which is not exactly an off-the-beaten-track attraction but not as crowded as the Big Buddha on Lantau Island. Despite its name, there are more than 10,000 Buddha statues on display, estimated 13,000 pieces, and they are all different from each other. They flank the steep steps leading to the complex where are no practicing monks on site. Po Lin Monastery on Lantau Island is famed for the huge bronze Tian Tan Buddha statue, which can be seen for kilometers around. The place is a huge tourist attraction and almost always very busy. A popular way to get there is by taking the Ngong Ping 360 gondola lift but make sure to buy tickets in advance to avoid long queues. 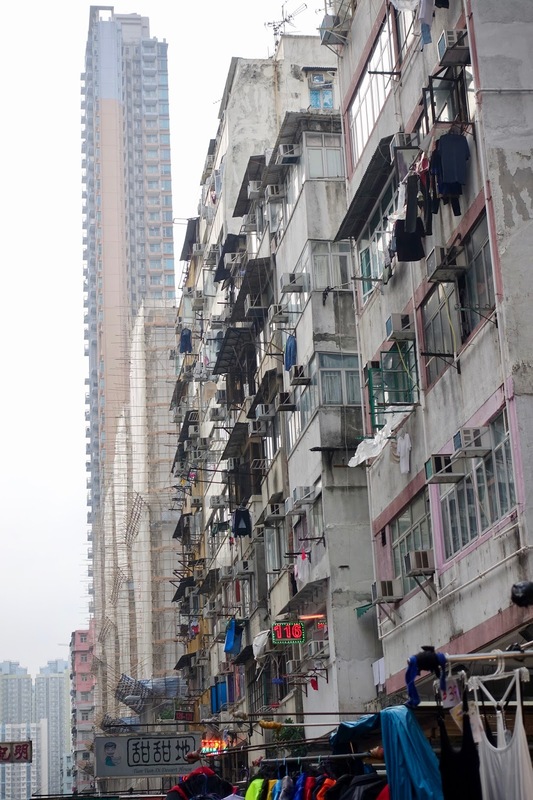 In my first post I mentioned that no trip to Hong Kong is complete without seeing a typical Chinese neighborhood. For this purpose, I suggested that either Yau Ma Tei or Mong Kok in Kowloon should be visited. 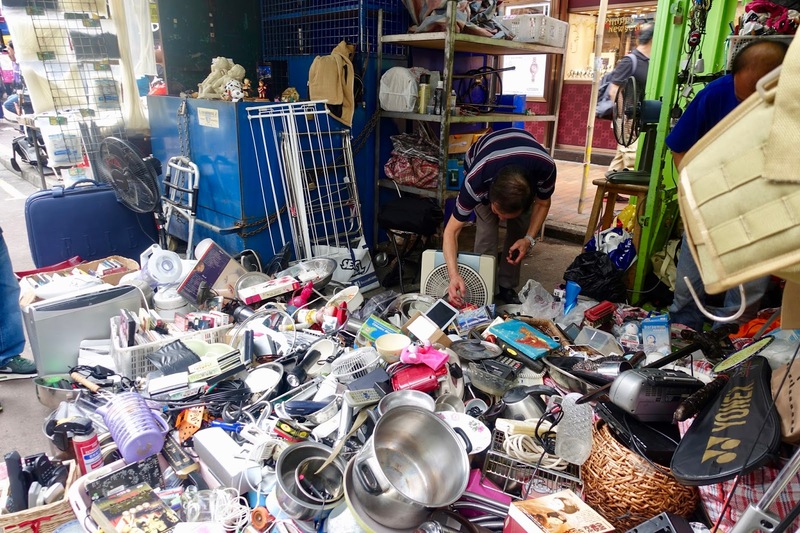 There is a place providing an even bigger contrast to the glitz and glam of the Central skyscrapers and this is the district of Sham Shui Po even farther in the north of the Kowloon Peninsula than Yau Ma Tei and Mong Kok. This colorful locality is one of the poorest districts in Hong Kong and known for its street market for electronic devices. There are other goods for sale as well. Each street specializes in different things. 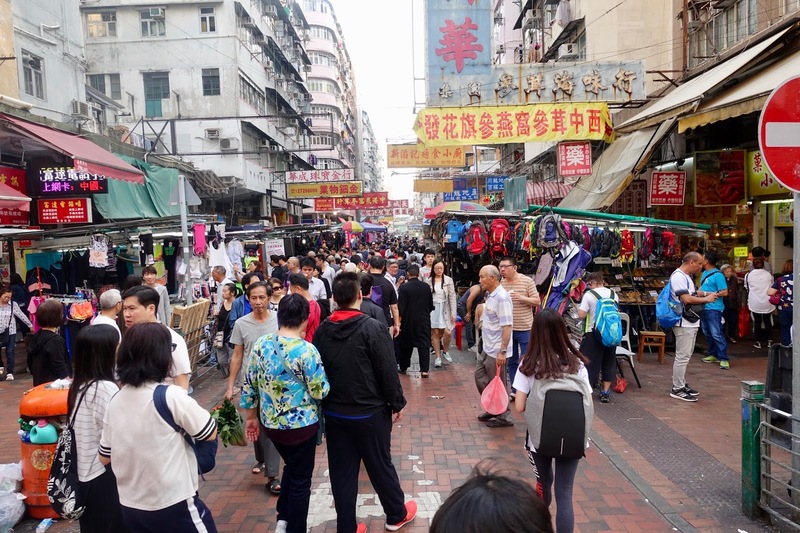 Apliu Street is known for electronics, Ki Lung Street for fresh food and Cheung Sha Wan Road for clothes. Visit the area in the afternoon or early evening to see daily life in full swing. The southern side of Hong Kong had for many years the reputation of being the wrong side of the hills. At the time, it was simply too sunny and too exposed to rains and storms. Nowadays, it is a popular residential area and a tourist location. Less than an hour from the city center there are nice beaches. Most popular options are in Shek O, Stanley and Repulse Bay. Due to the absence of the MTR you have to take the bus to get there. On a sunny day, the south side is a good possibility to leave the bustling city behind you. 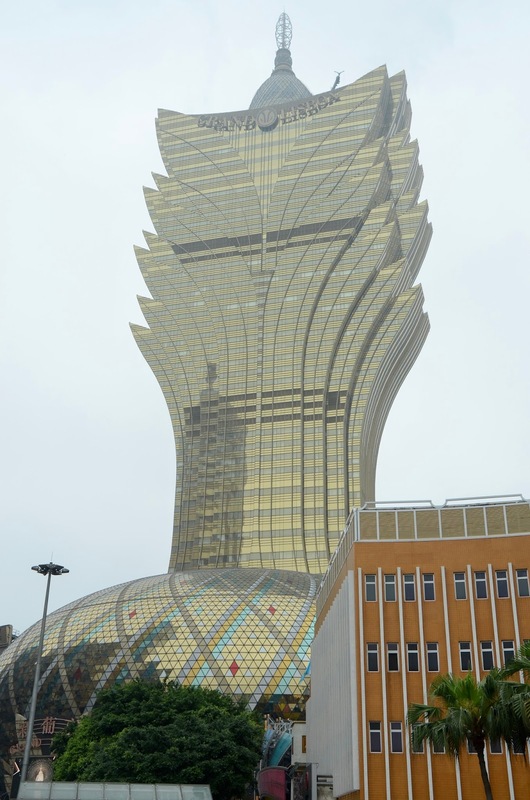 Macau, a former Portuguese enclave, is an astounding mix of a gambling metropolis and a colonial settlement. Less than one hour away from Hong Kong by fast boat it is a destination well worth visiting for a day trip. There is quite a lot to see: beautiful colonial architecture, a UNESCO World Heritage city center, Chinese temples, a modern skyline and the glitzy Cotai Strip with its mega casinos. It is a really intriguing city of blended cultures. After having a closer look to seven must-do activities for first-timer to the city of Hong Kong in my last post and seven things to do in this fascinating city that not everybody does in the current post, I will go into details regarding luxury accommodations and restaurants for foodies in my next post. 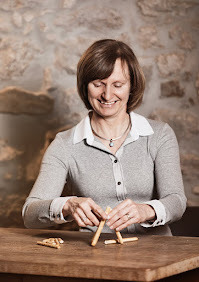 Come back later and check out my tips for where to stay and where to eat as a discerning traveler. What activities do you recommend that are probably not on the agenda of every visitor to Hong Kong? owh wow you show a side of HK that media does not often portrayal. How interesting! Thanks so much! HK is really worth a trip as it has so much to offer. Perfect timing for me to read this post! We're planning to head to Hong Kong later this year. I'll be saving this post to refer back to when we start planning and I'll check out your other post for first-timers, too! Thanks for the tips! Glad you can make use of it! Enjoy your trip to this stunning city!